Workers’ Compensation coverage protects MMIA member cities from the risk they may be sued and held legally liable for their actions when employees are injured in the course and scope of their job duties. The Workers’ Compensation Program was the first MMIA program to begin operation in January of 1986. The need for a reasonably priced and effective Workers’ Compensation Program was brought on as a result the commercial market choosing not to cover municipalities due to high risk exposure. An invaluable part of the program is the Workers’ Compensation Claims Unit that adjusts all workers’ compensation claims filed with MMIA member cities. Today, the Workers' Compensation program has 108 incorporated cities and towns that participate as members. 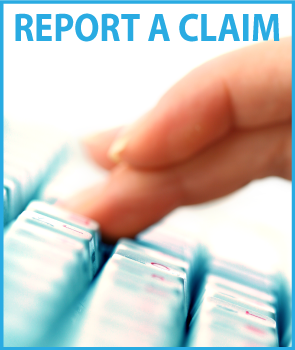 Need to report a new claim? City or Town representatives may click the photo below to report a Workers' Compensation Claim. What if I have an injury on the job? Montana Workers' Compensation statutes require injuries be reported to your employer within 30 days of the occurrence. MMIA strongly recommends you report all injuries to your employer as soon as possible. We recommend, whether or not you receive medical treatment, that you report minor injuries as well to your employer. An electronic First Report of Injury will be submitted to the MMIA by your employer which will be mailed to you for signature. What if I can't work for a while? If you suffer a total loss of wages due to your injury or occupational disease, you may be eligible for temporary total disability (TTD) benefits until your physician releases you to return to employment. You may receive weekly compensation of 66 ⅔% of your gross wages at the time of injury – up to the state’s maximum temporary total diability rate. Per Montana statute, compensation may not be paid for the first 32 hours or 4 days’ loss of wages, whichever is less, that the claimant is totally disabled and unable to work because of an injury. A claimant is eligible for compensation starting with the 5th day of wage loss. If you are totally disabled and unable to work for 21 days or longer, compensation may be paid retroactively to the first day of total wage loss. You can draw sick leave or vacation for the first four days. Can I choose my treating physician? You may choose the treating physician for initial treatment. Any time after acceptance of liability by an insurer, the insurer may designate a different treating physician, or approve your choice of the treating physician. What medical benefits are provided? Once MMIA accepts your injury or occupational disease claim, you are entitled to reasonable doctor, hospital, prescription and medical care costs. Allowable charges are paid according to a medical fee schedule. You do not have to pay the balance between what the medical provider charges and what the MMIA pays. Visit the Montana Department of Labor and Industry website for more information.